All this week I will be walking you through the elements on my Thanksgiving table. 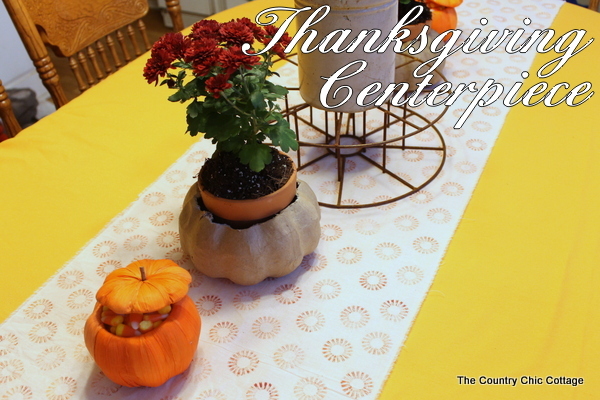 First up is the Thanksgiving centerpiece. 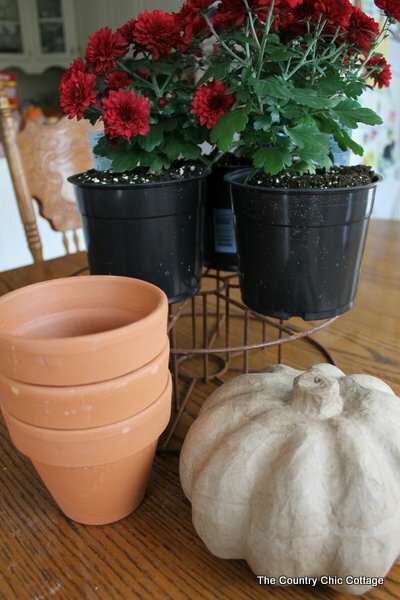 I love mums and decided on red ones to adorn my table. How do you make them festive for fall? Insert them into pumpkins of course! 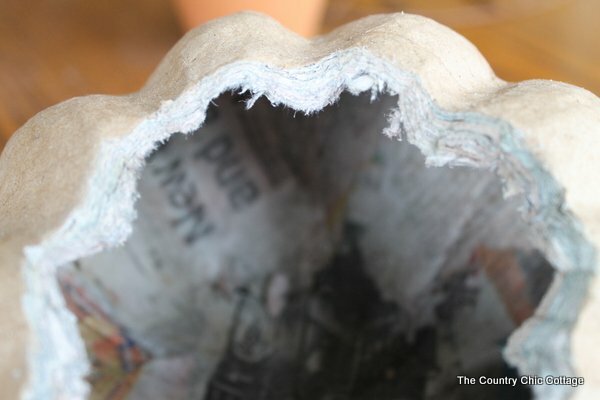 I started with my mums, some pots, and some paper mache pumpkins that I was sent from Consumer Crafts. 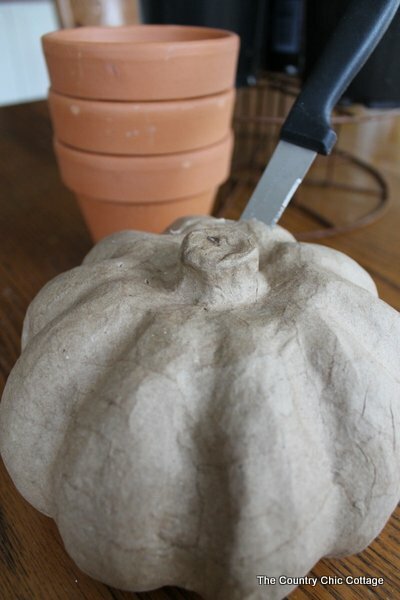 I took my knife and started cutting the top off of my pumpkins. I cut the hole so that my pot would fit into it. I decided to leave the pumpkin natural as I am going for a rustic look to my display. 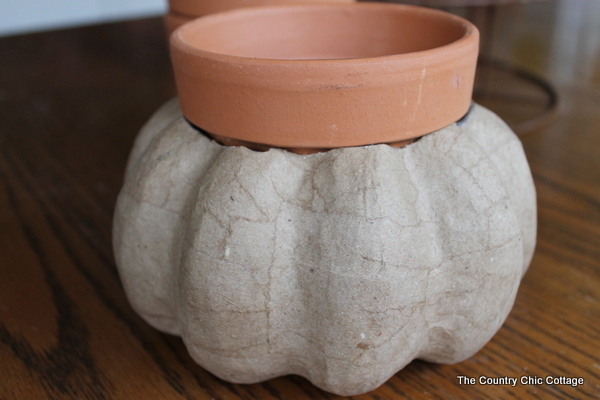 I popped two of my mums into these pumpkin pots. The third got added to an old urn and I used that metal spool in my display that I found at Bella Rustica. 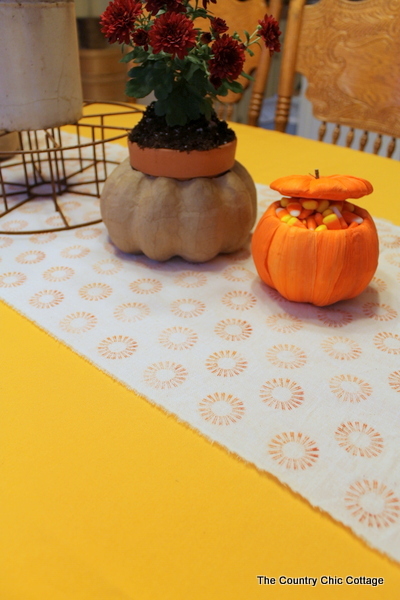 For an extra treat that my guests could enjoy, I wanted to add candy corn to the table. 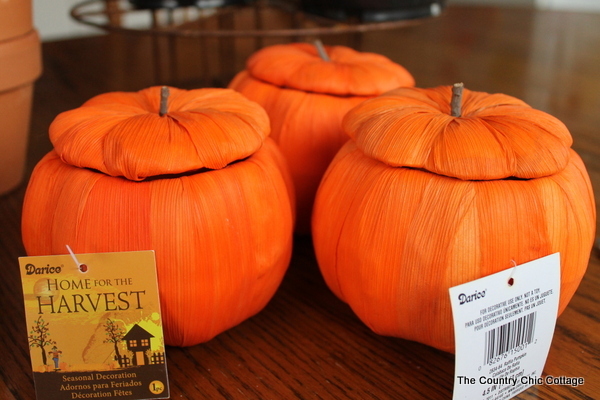 I also got these little pumpkins with lids from Consumer Crafts. 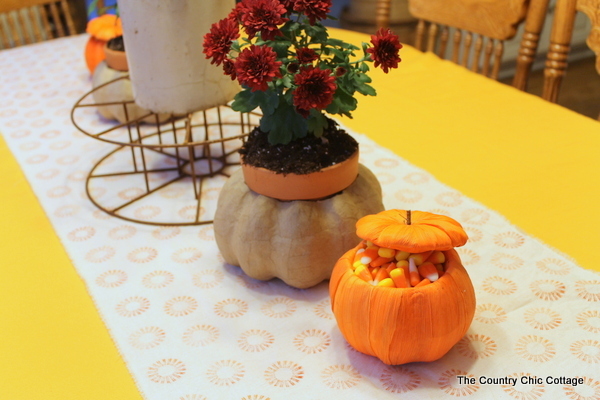 It was super easy to fill those with candy corn and add them to my centerpiece. Simple, easy, and slightly rustic. That is me in a nutshell. See that table runner? I will have all the details on how you can make your own tomorrow! Y’all stay tuned as we build this Thanksgiving table from the table cloth up!